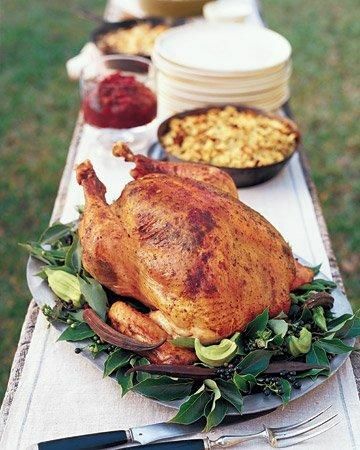 One of my favorite holidays, Thanksgiving evokes so many cherished childhood memories. I fondly recall the excitement of planning the menu with my mom, as well as our pilgrimage to the grocery store to gather all of the essentials. Flour dusted cheeks coupled with a symphony of pots bubbling and knives chopping, cooking dinner brought just as much joy as watching our family savor it. To help you create a sensational Thanksgiving feast, I’ve compiled a MBB-approved menu from turkey to the trimmings to a perfect sweet finish. Enjoy!